How you invest your money is about more than just picking what appears to be a good investment fund. Are you a young family or are you about to retire to Spain? Are you already an expatriate in Spain who is trying to calculate how much income your pension can produce? Perhaps you are one of the ever growing group of success expats running a sucessful business in Spain? At the Spectrum IFA Group we have a great deal of experience in helping expatriates with not only formulating a financial plan but also how best to structure the investment element of the financial plan to reach their goals. Our in house, independent fund selection team help our advisers and their clients by filtering the massive selection of investment funds available on the market. Click here to see how we select funds. Our portfolio management team then assist with asset allocation and portfolio construction. (i.e how to choose which types of investments to use and how to put them together). Our investment philosophy uses a forward looking “Lifestyle” planning process to design investments to fit with your own personal situation today, with an eye on the future, not the past. Different investment themes and stories will be appropriate to different people at different stages of their lives. •Any investment program likely be regular funding with long time horizon. In this style, you can afford to look for the longer term trends and invest in companies that will benefit from these changes. For example, Two BILLION people in Asia are expected to move into cities over the next ten years. This provides a tremendous opportunity for infrastructure companies and funds. Primary Investment Drivers are to beat inflation with lower volatility than accumulation stage, medium time scale. A more diverse choice of assets can help to reduce volatility (Markowitz, Efficient Frontier Theory). Starting to include income producing assets can also help to bring more certainty to a portfolio. •Looking to the time after retirement, starts planning trips etc. The last thing you need is for your portfolio to fall in value just before you want to retire. Include some deposit based accounts and funds with capital protection. This may reduce your investment return but it substantially reduces the investment risk. Primary investment drivers – stable and growing income stream; beat inflation with low volatility, short term scale. In retirement there is a need to manage the income that you draw from investments. Even if you do not need a regular income, the need to pay for the trip to see the grandchildren, medical expenses etc means cash management is important. 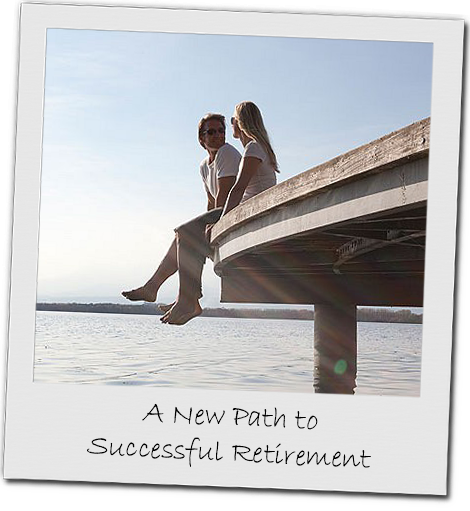 This cash management together with capital protection and income producing investments will allow you to manage your retirement as comfortably as possible. Which lifestyle are you in? For a personal financial planning review of your existing assets and for information about specific choices based on your lifestyle contact us. * All financial planning advice is provided using and within Insurance contracts that can be highly tax efficient across Europe. Investment Management services within the Insurance Contracts are provided by Investment Management Institutions. Spectrum’s role is to provide the Insurance Intermediation advice and to assist clients in their choice of Investment Management Institution.